Safeguards confidentiality, integrity, availability and reliability of your data. Let’s you control access to your data. Helps you comply with various regulatory standards. Details on how Office 365 implements security, privacy and compliance controls including details of how third-party independent auditors perform audits to test these controls. Third-party independent audit reports including: SSAE 16 / SOC 1, SOC 2 / AT 101, ISO 27001 and ISO 27018. Deep insights into how we implement encryption, incident management, tenant isolation and data resiliency. Information on how you can leverage Office 365 security controls and configurations to protect your data. 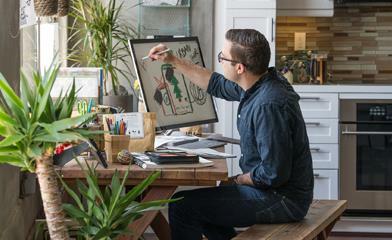 Test status—Status of the Office 365 controls. Control implementation details—Explanation of how Office 365 implements a control. Testing performed to evaluate control effectiveness—How independent auditors test the effectiveness of our security, compliance and privacy controls. Test date—When a control was validated. Office 365 controls—How the Office 365 internal controls map to standard controls. In this open and transparent model, we don’t just tell you “what” controls we have implemented, but also give you insights into “how” Microsoft implements and tests these controls. The Compliance Reports and Trust Documents provide you independent audit reports, deep-dive white papers and FAQs that are relevant to your geography and industry. Service Assurance helps you to stay secure and compliant with an “end-to-end” view of controls implemented by you as well as by Microsoft. For controls owned by you, it provides actionable implementation plans for relevant features that help you to implement these controls and manage your risks. Tens of thousands of organizations already use Office 365 Service Assurance and have indicated that they are saving a significant amount time in evaluating the security, privacy and compliance of Office 365. 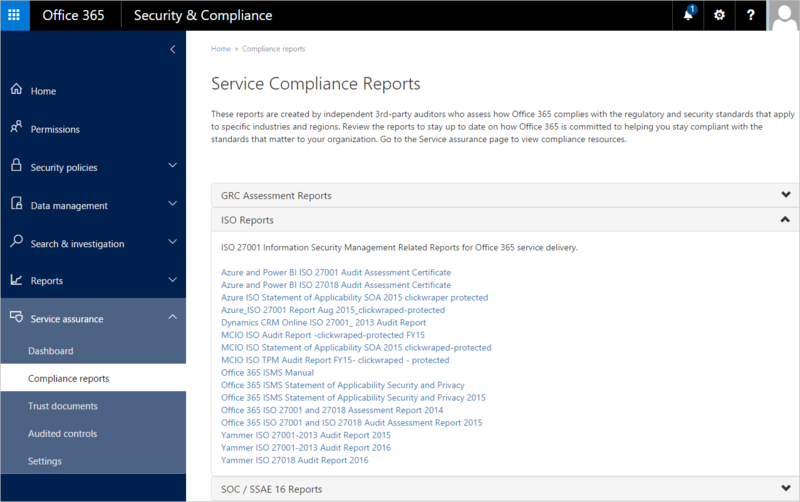 Information available through Service Assurance such as the “Customer Security Considerations Workbook” have helped customers secure their Office 365 service with features/configurations that they manage. Service Assurance is available to all Office 365 tenants as well as to prospective customers with Office 365 E3/E5 trials. 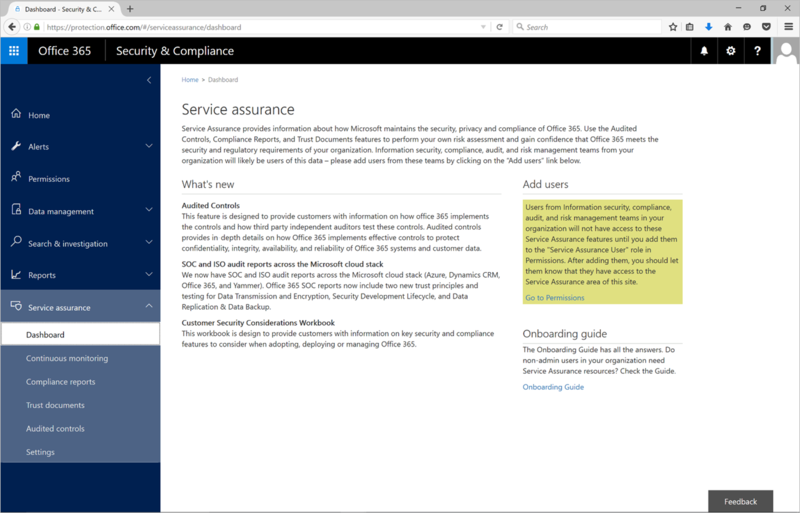 To get started, follow this guide at Security and Compliance Center—Service Assurance.